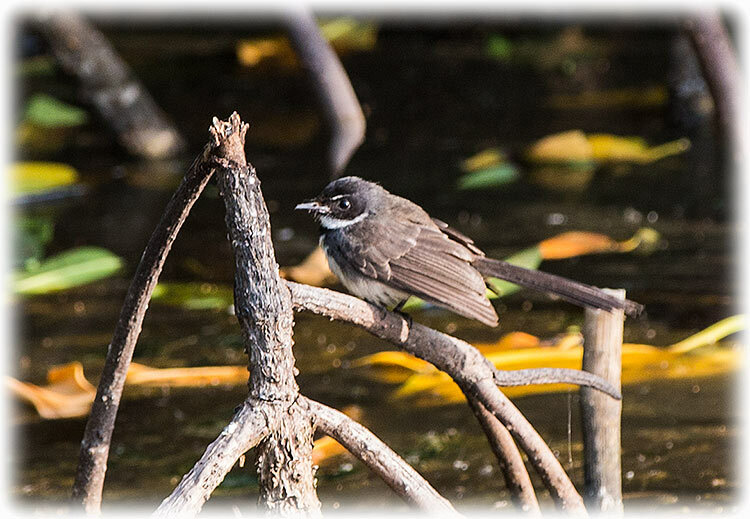 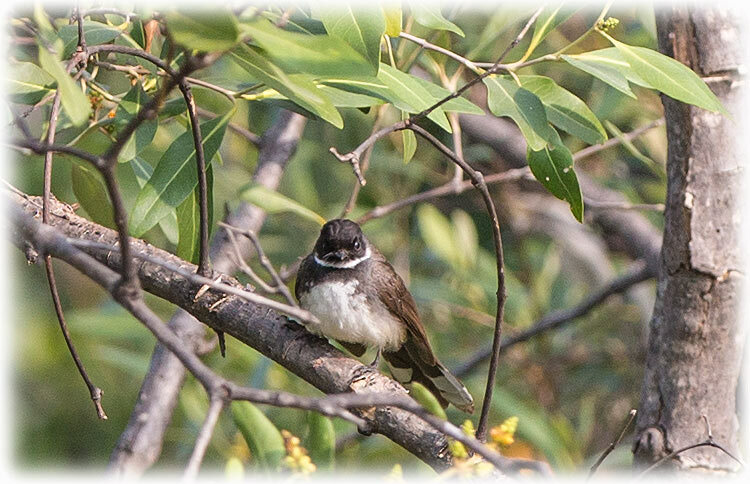 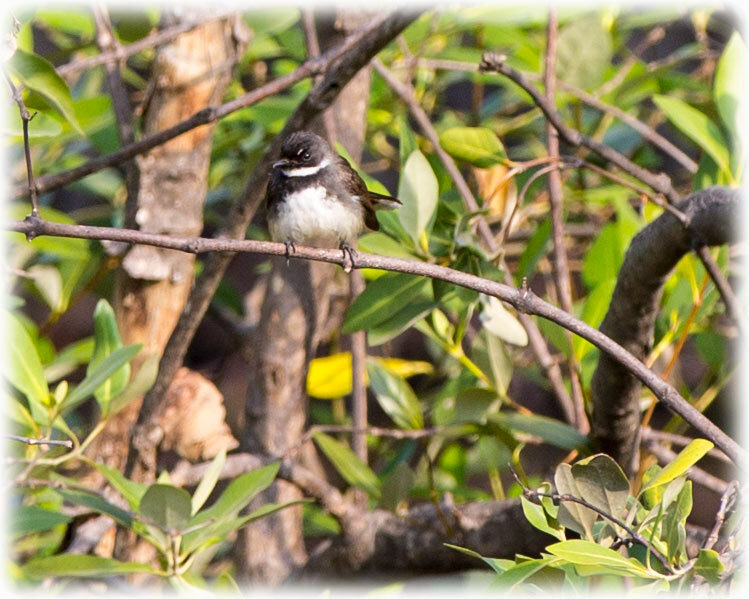 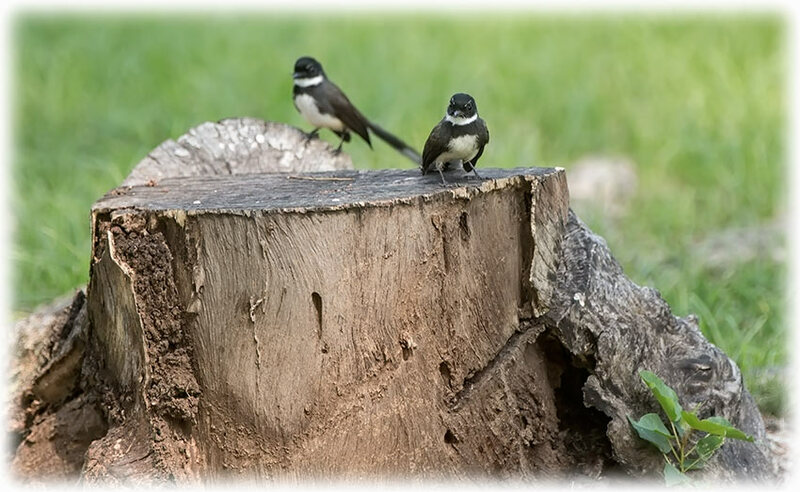 There are three species of bird called pied fantail. 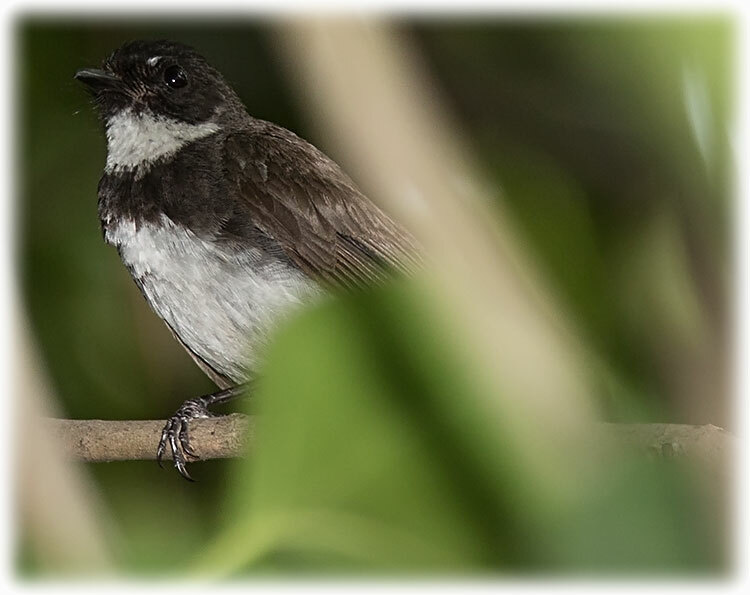 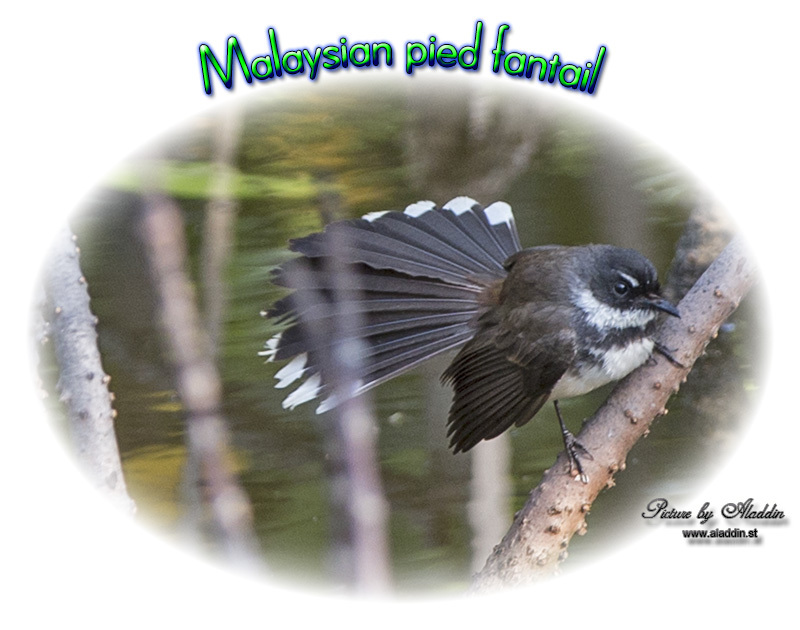 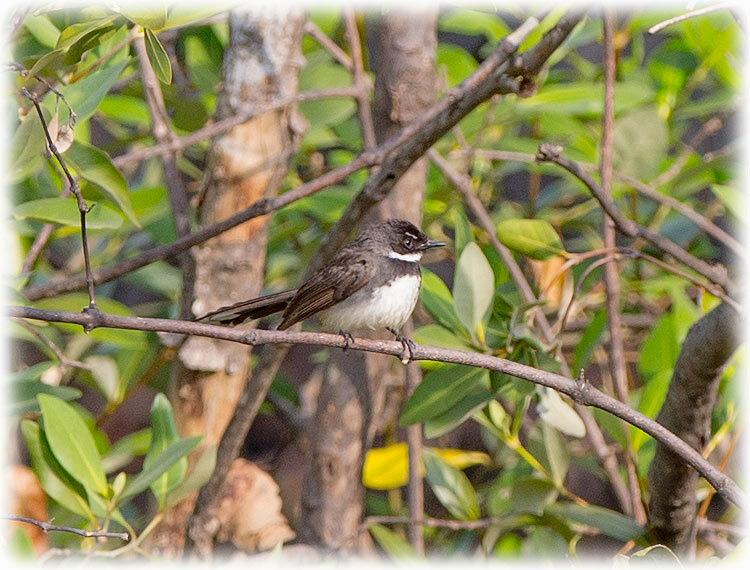 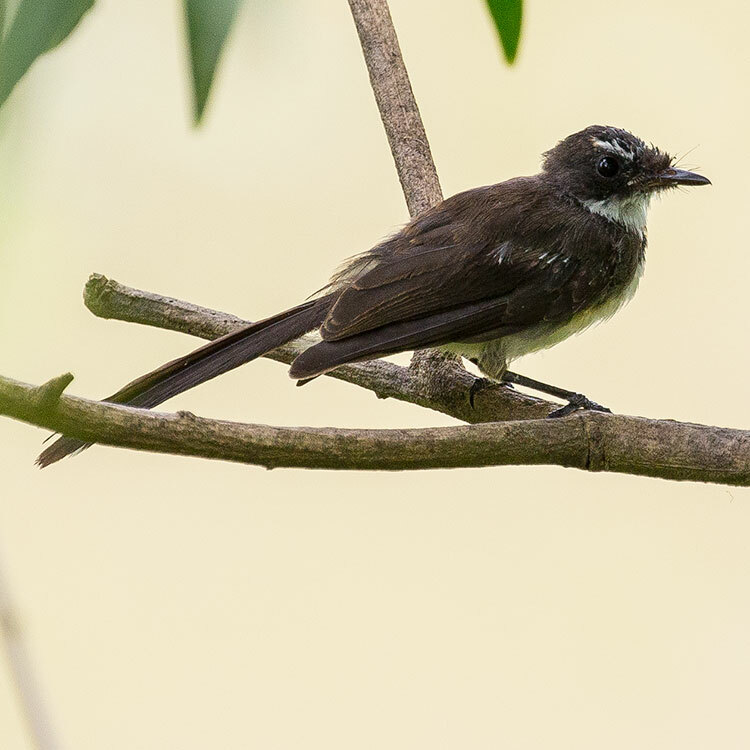 The Malaysian Pied Fantail (Rhipidura javanica) is a species of bird in the fantail family and one of 47 species in the genus Rhipidura. 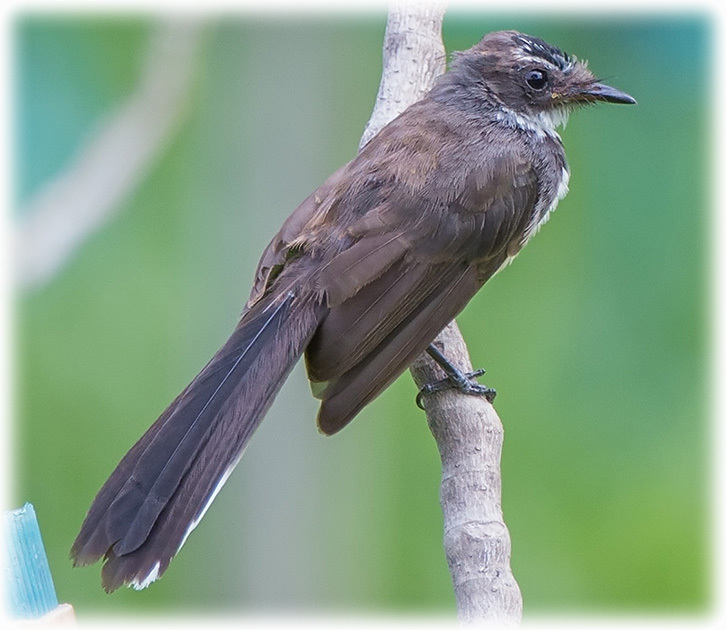 It is locally referred to as muria gila, literally "crazy thrush" in the Malay language. 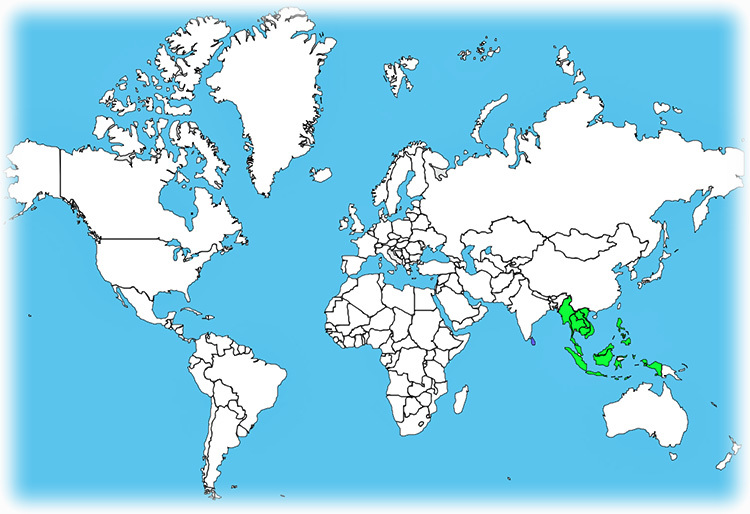 It is found in Brunei, Cambodia, Indonesia, Laos, Malaysia, Myanmar, Singapore, Thailand, and Vietnam. 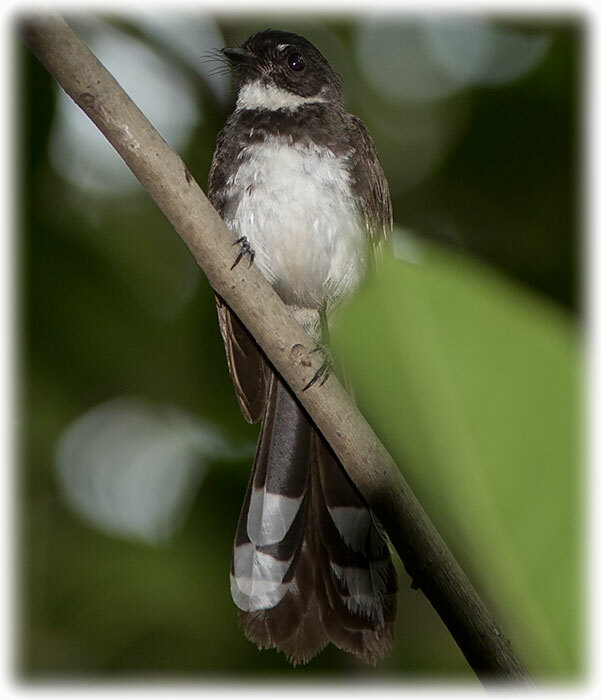 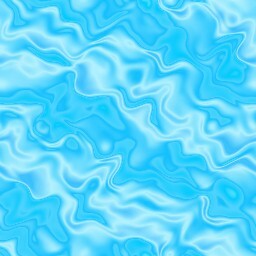 Its natural habitat is subtropical or tropical moist lowland forests. 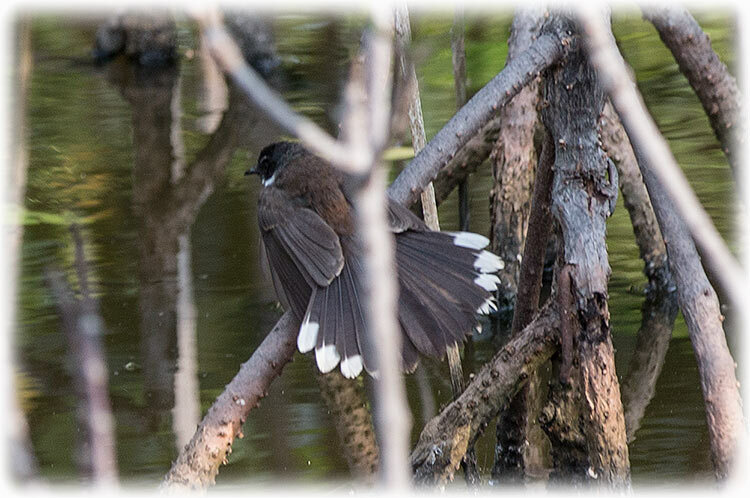 A single sight was recorded from Yala National Park of south Sri Lanka. 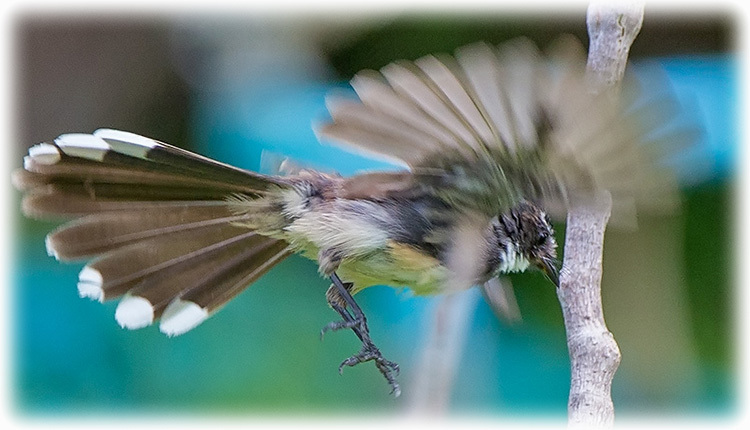 Thank's to Nick Upton at www.thaibirding.com for HOT birding tip. 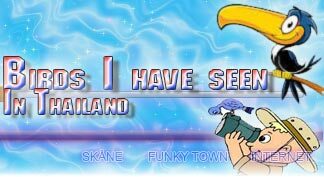 His web page is a ONE STOP for everything you need for bird watching in Thailand. 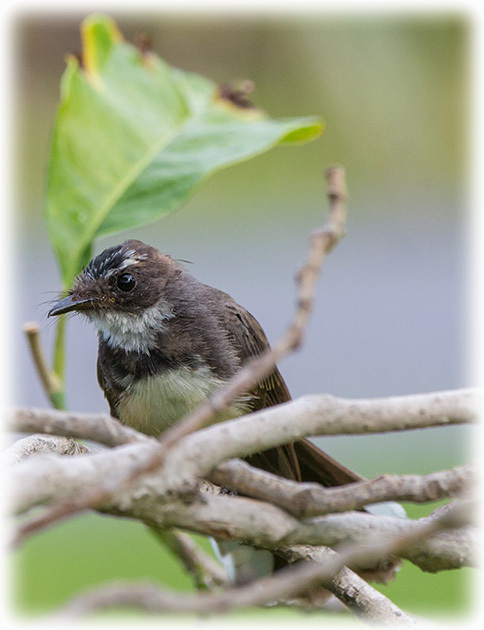 There are reviews of the birding sites with maps and information.